As a subcontractor to North Texas Contracting, AR Daniel Construction jacked 240 LF of 6’x4’ box culvert supplied by Johnson County Pipe. 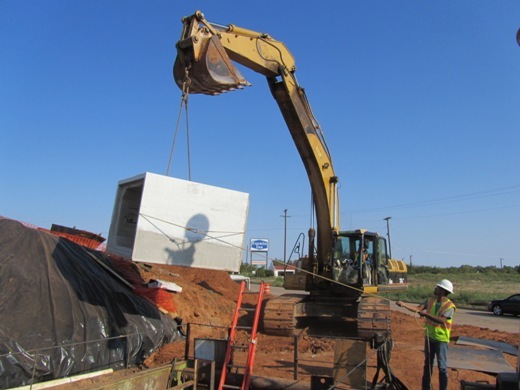 The project was constructed in conjunction with a research grant from TxDOT to the Center for Underground Infrastructure Research and Education (CUIRE) to observe the impact of jacking box culverts on adjacent existing culverts, surrounding soils, and the pavement surface above the installation. 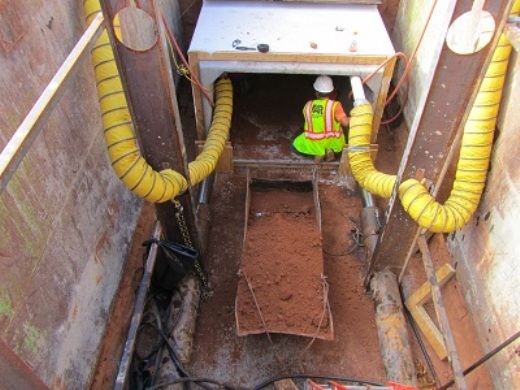 After shaft excavation and beginning the jacking operations, it was determined that the sandy soil conditions could present challenges in keeping the box culvert on grade as it was jacked into place. 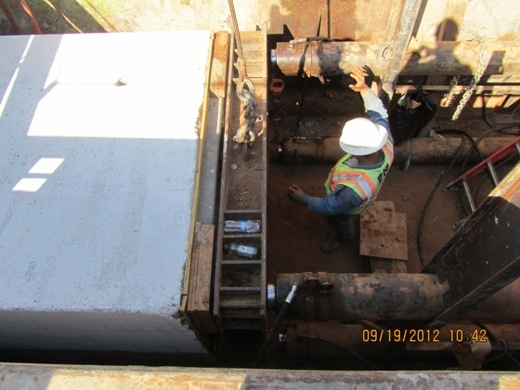 To confront this challenge AR Daniel Construction built a wood box pilot tunnel ahead of the jacking operation. 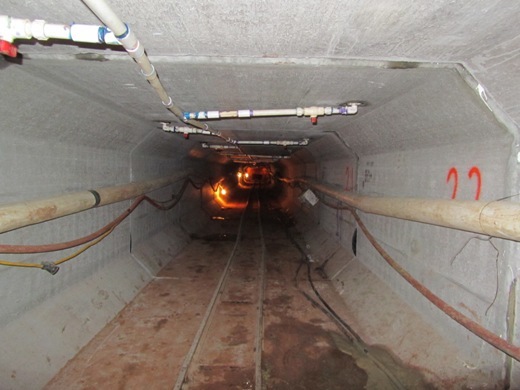 Upon completion of the pilot tunnel a grout invert was placed in the pilot tunnel to the design grade of the box culvert. Once jacking operations begun, this invert served to guide the box and assure the installed flow line matched the design grade. To alleviate skin friction during the jacking process AR Daniel Construction employed various techniques, including painting of the box, use of bentonite fluids, and very accurate line and grade control.